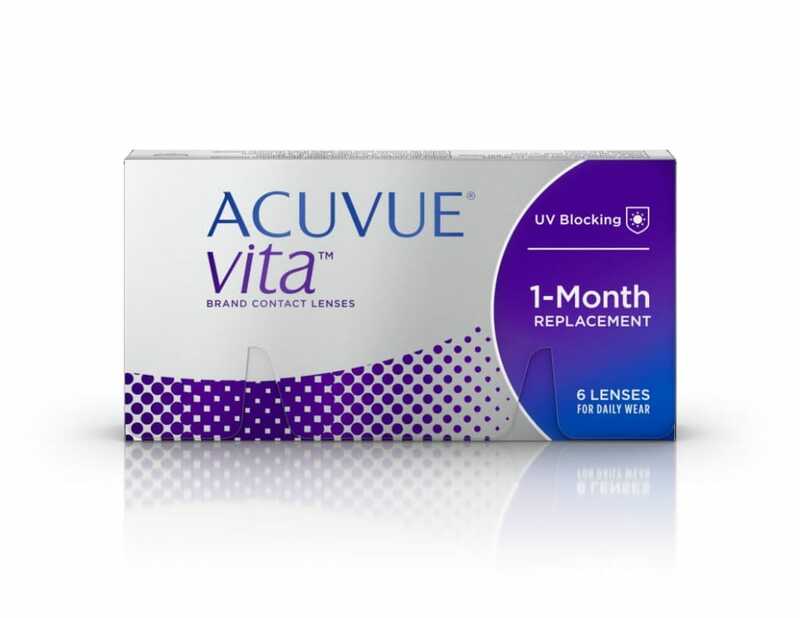 ACUVUE® VITA™ CONTACT LENSES IS A NEW CONTACT LENS THAT MEETS YOUR MONTHLY LENS NEEDS. IT HELPS T0 BETTER MAINTAIN LENS HYDRATION FROM THE 1ST TO 4TH WEEK. AVAILABLE WITH CORRECTION FOR NEAR SIGHTEDNESS (MYOPIA) AND FARSIGHTEDNESS (HYPEROPIA). 1-MONTH CONTACT LENSES AVAILABLE IN 6 LENSES PER BOX.